An easy circuit to convert any clock mechanism into Model Railway Time. This circuit produces a Fast Clock to match the scale of the layout. This circuit will appear to “make time fly” by turning the seconds hand once every 6 seconds. The timing can be adjusted by changing the 47k. 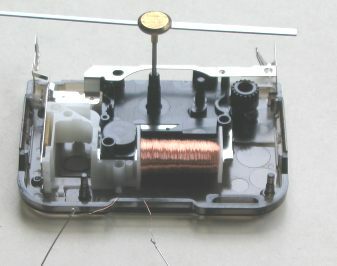 The electronics in the clock is disconnected from the coil and the circuit drives the coil directly. The circuit takes a lot more current than the original clock (1,000 times more) but this is one way to do the job without a sophisticated chip.